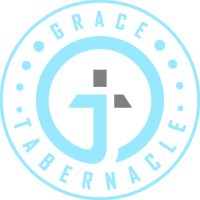 Whether you have been around church your entire life or this is your first visit, Grace Tabernacle has something for you. Our goal is to make your visit an enjoyable one. Visiting a new church can be intimidating, so let us walk you through the experience. Our guests are always VIP! The moment you walk in you will be greeted with a smile! Our welcome team will be able to assist you every step of the way! We even have an exclusive gift just for you. At Grace Tabernacle there is no dress code. You’ll see some people in jeans and a t-shirt and others in suits. Jesus cares more about your heart than what you wear and so do we! Our children’s ministry is available from birth through 5th grade. Our goal each and every weekend is to help ensure your child develops into the leaders God designed them to be. We want to create a safe, learning, godly, and fun environment for our children: this way you enjoy a great service knowing your child is being loved and nurtured!